There is one city I have been thinking about for a very long time. It´s New York – the city that never sleeps. My expectations are huge. I really hope I will not be disappointed. Finally after years and years I was encouraged enough to press the book button while searching for flights. Instead of chosing a trip to Rio I dared to take a step further and next week I am going to explore the Big Apple. As an old tradition I would love to send you some postcards. 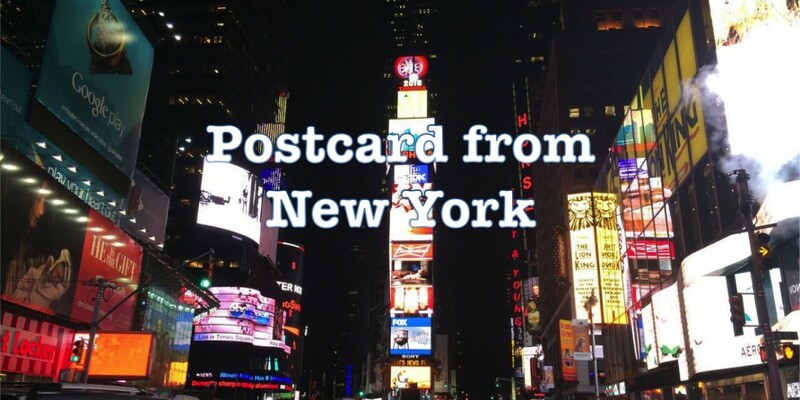 So, if you would love to receive a postcard from New York, please leave a comment under this post and I will write you back asking for your address. Postcards will be send out worldwide. I can´t wait to see in which part of the world I will send out my postcards this time! New York??? Oh, DUDE! I’m having my book launch party in New York, but at the END of May. So close, and yet – so far away! Actually the party will be quite small, a bar in Times Square, so don’t be inspired to change your plans. But I wish I could be there!